The greatest comfort in life is coming home to where you belong, hence the saying ‘home sweet home’. But nothing makes home more personalised and cosy than designing it yourself. Below are some examples of what you can achieve with a good and reliable interior designer with amazing taste and ideas for home designs. When you first move into a new home, it may not look as glamorous as what you have in mind. The built-in kitchen cabinets may be a tad too plain, the kitchen tiles boring and the old fashioned slatted windows may look like it was taken out from your grandparent’s home. Even the floor tiles may add to the awfulness of the entire make up, making the home look terribly downtrodden. But look what wonders a good interior designer and architect can do for you! 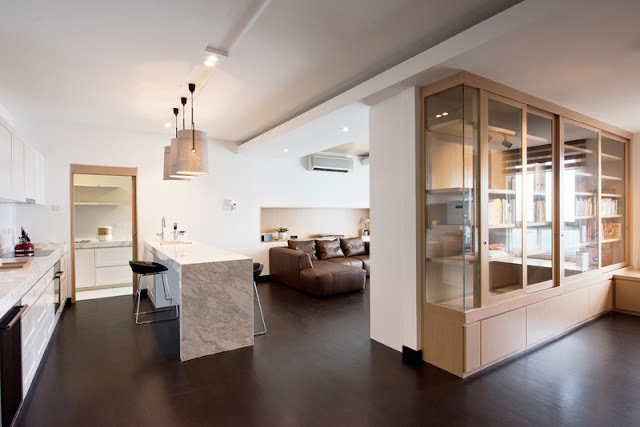 Add in an extra wall to have a wet and dry kitchen, get those awful built-in cabinets out and exchange them for stylish monochrome cupboards, and switch that boring wooden table out for a marble counter. 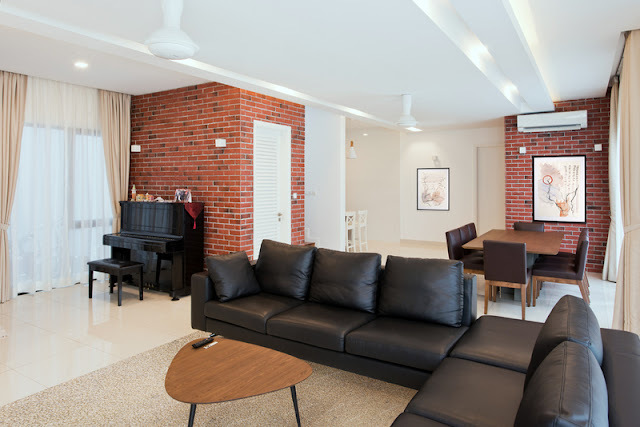 With just a few more changes, your home will be as classy as this. Location: Tropicana, Petaling Jaya, Selangor, Malaysia. Another small blessing in life is when you buy a home that comes with nothing at all, except maybe a unit of air-conditioner or two. While some buyers may feel shortchanged and be grouchy about the lack of furnishings, the true artist will be inspired. 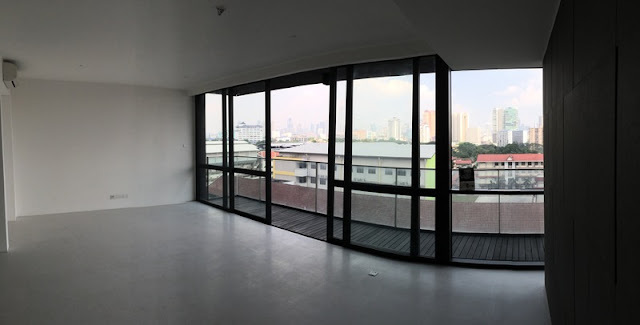 What began as an empty unit that came with only dull flooring and a glass sliding door that opens onto the balcony, transformed into a designer home with the help of an interior designer! 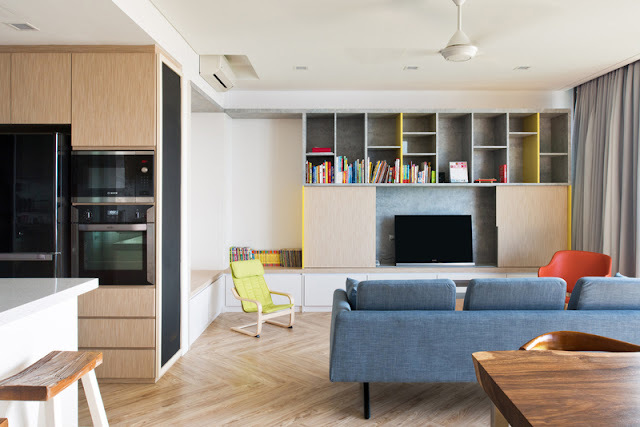 Subtle bright yellow lines meld into the lighter browns of parquet flooring, and tastefully selected colourful furniture add flavour to the room. Even the kitchen electronics are tucked into their own little niches, ensuring spaciousness and functionality. Location: Sentul, Kuala Lumpur, Malaysia. 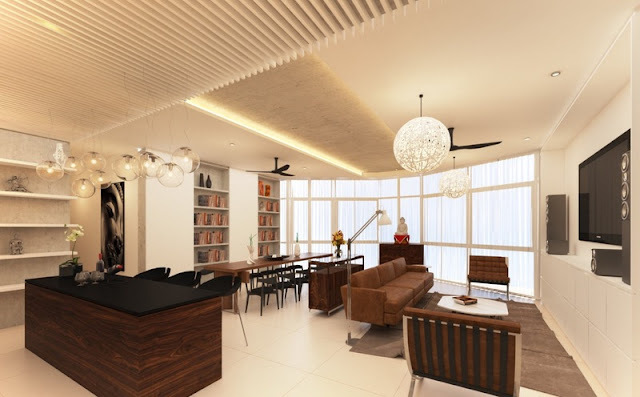 Whether you are staying in a landed property or high rise, style and fashion are not restricted by space or time. This large and empty space that opens out into the garden has so much potential! As usual, hire an experienced interior designer, tell them your preferences and what you have in mind. A good one will be able to turn your ideas into reality, whether they are whimsically colourful or solid and traditional - while making it look good at the same time. If you love the more solid colours and traditional designs of brick houses, this home is the one for you. In short, if you have the budget and an idea, don’t lose this amazing opportunity to turn your house into your dream home. Design it to your heart’s content, and work with your interior designer to figure out what will work for your home and what will not. Every effort spent on your home will be worth it in the end. After all, a man’s home is his castle.